Copyright © 2019 Precision Personal Training . All Rights Reserved. Audra Jackson is a professional working woman and a mother of two boys. Her family and career have always been a priority to her, which led her to neglecting her own health and happiness. 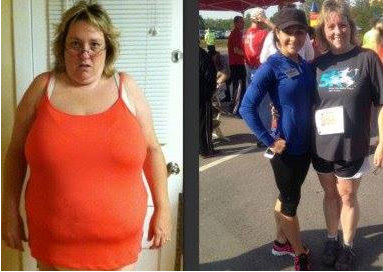 This all changed when she was diagnosed with pre-diabetes, hypertension and high cholesterol in 2005-2006, weighing almost 200 lbs. (first photo). 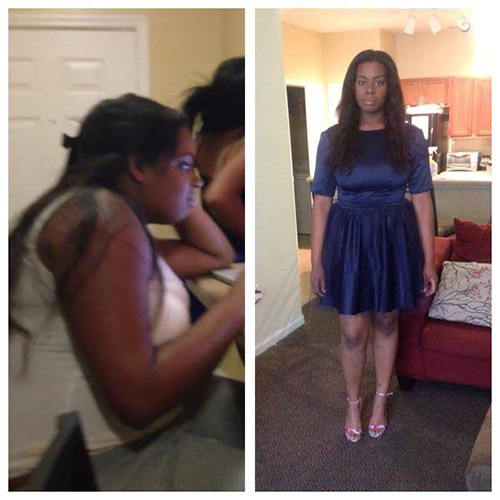 After this news, Audra decided to start her weight loss journey. 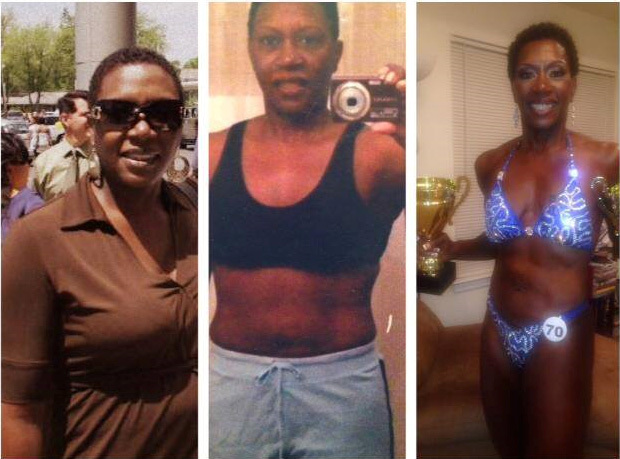 She began following a simple meal plan and lost 30 lbs. in 9 months. She also reversed her high cholesterol and hypertension, but her diabetes remained because of heredity. Unfortunately, her father was diagnosed with a brain tumor in 2008 and this had a negative effect on Audra’s weight loss journey. She became preoccupied with his finances and well-being and neglected her own health once again. However, in January 2010 (second photo) after her father passed away, she decided to hire a personal trainer and take her fitness to a whole new level and compete in her first figure competition. She began training with the crew at Precision Personal Training in order to become more disciplined with her training and nutrition. 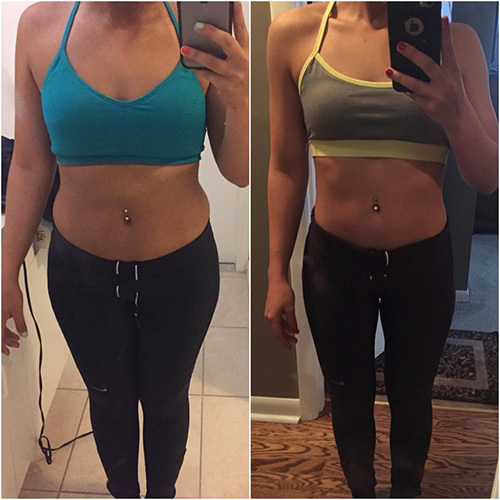 Our exercise and meal plans were customized to fit Audra’s body and fitness goals. 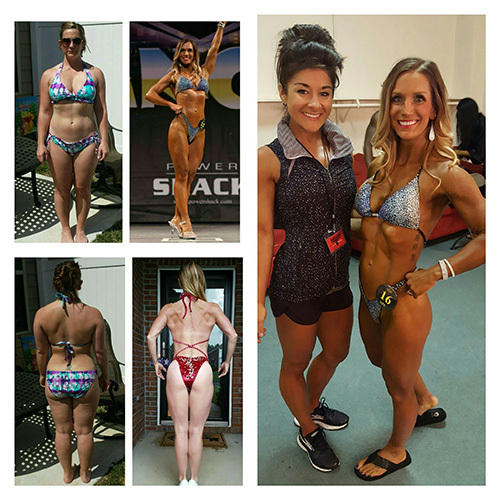 She has continued to compete in 2014 in the Figure division. She won first place in two competitions in 2014 (Master’s Figure over 35 and Open Figure Class D-third photo). I joined Precision Personal Training in August of 2015 in hopes of rehabilitating my knee back to running condition. I'd been sidelined by a nagging pain and decided that I needed to strengthen my legs to take some of the strain off of my knee. I was able to run in a race in October, and was ecstatic about my progress! Since my goal was to simply be able to run again, I was content with how my body looked...until my clothes didn't fit like they used to. I continued to eat like I ran 20+ miles every week, although that number and frequency dropped significantly (read: non-existent). I attended my training sessions faithfully twice a week, and couldn't figure out why my body wasn't reflecting my dedication. I asked my trainer, Amber, what was going on, and she said the three words we all dread: "How's your diet?". She had me write down, in detail, what I ate for the next four days, and I was almost ashamed to give her my list. But boy am I glad I did! She gave me orders on what needed to change and suggestions on what I should incorporate for every meal. 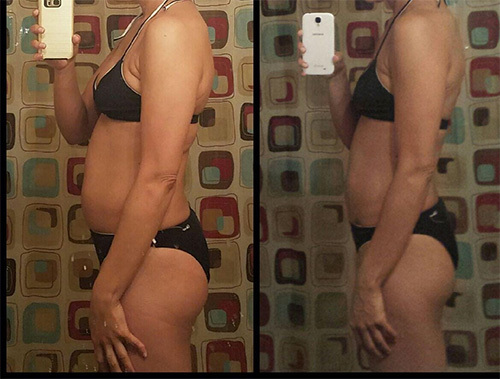 I set a goal for myself to follow her plan for six weeks, just to see what happened. We continued our training sessions, and I ran at least four miles 2-3 times a week. I vowed (and secretly hoped) that if I saw no change, I would go back to pigging out and not care how I looked. Well, that didn't happen. At the start of my healthy journey, I weighed 162 pounds. After six weeks, I weighed in at 145, dropping a total of 17 pounds. In six weeks!!! It was a struggle. Let me repeat: IT WAS A STRUGGLE. I craved everything in sight, and even things that weren't in sight, however, I can honestly say I'm glad that I stuck with it. Not only did I prove to myself that I can do anything if I put my mind to it, but I am so pleased with the visible changes in my body, and even my running endurance! I couldn't have done this without my trainer Amber and Precision Personal Training, and I'm excited to see what else we can achieve! 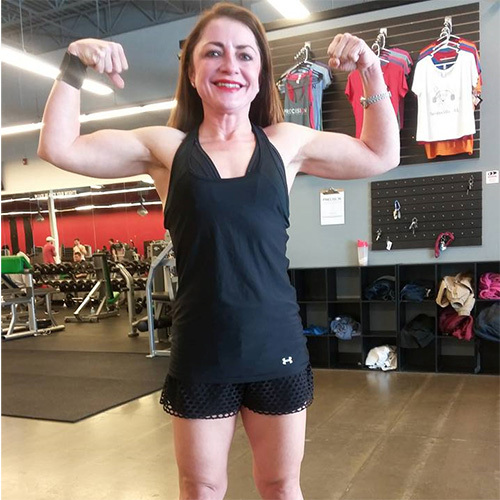 This is Olivia Ramirez, since joining us just a little over two months ago she has lost 20lbs and has greatly increased her stamina and endurance!!! She regularly trains in our TeamTraining program and sticks to a clean eating diet. 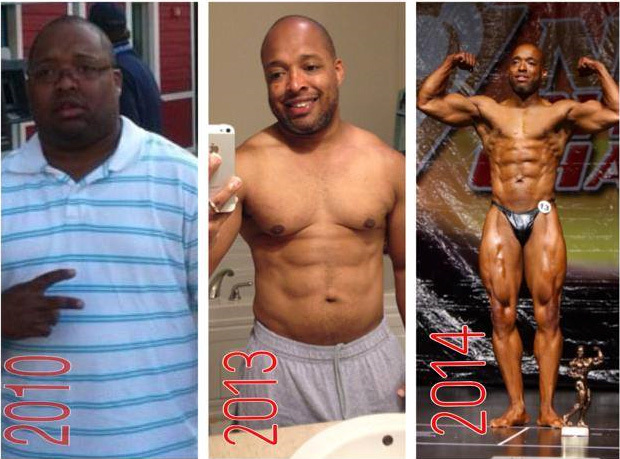 "I'm Marlin Hogue I've lost over 100 lbs since 2010.. I've been a member at Powerhouse Gym since 2013.. With the help of Nate Hoppe of Precision Personal Training I competed in my first bodybuilding competition reaching my goal in a little under one year! Kim Fouche dropped 37 lbs in 3 months training with Precision Trainer Nathan Sampson. 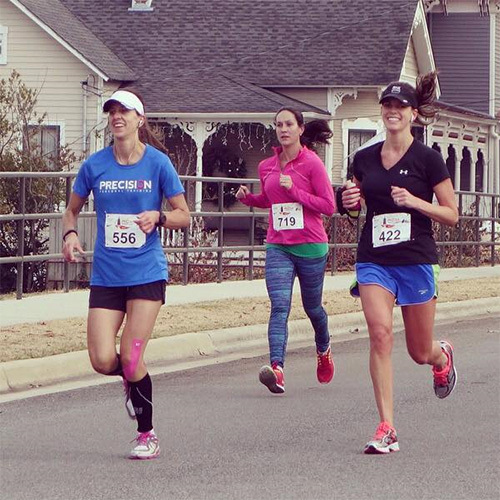 Natalie Fahey completing the Rocket City Marathon with an incredibly impressive time of 3 hours and 41 minutes! She overcame a great deal leading up to this race with injuries to both her knee and ankle. But with the heart and determination of a true champion she never let her obstacles stop her from pressing on towards her goal! "You don't understand how much your encouragement means too me. I really appreciate you & your investment into helping me achieve my goals. Why? ‪#‎BecauseWEsaidWEwould‬ ‪#‎youROCK‬ ‪#‎heartya‬ Each session New progression. I'm forever grateful for you. YEILD OURSELVES LORD OVERCOME = My Y.O.L.O." how I progress over the next year! !